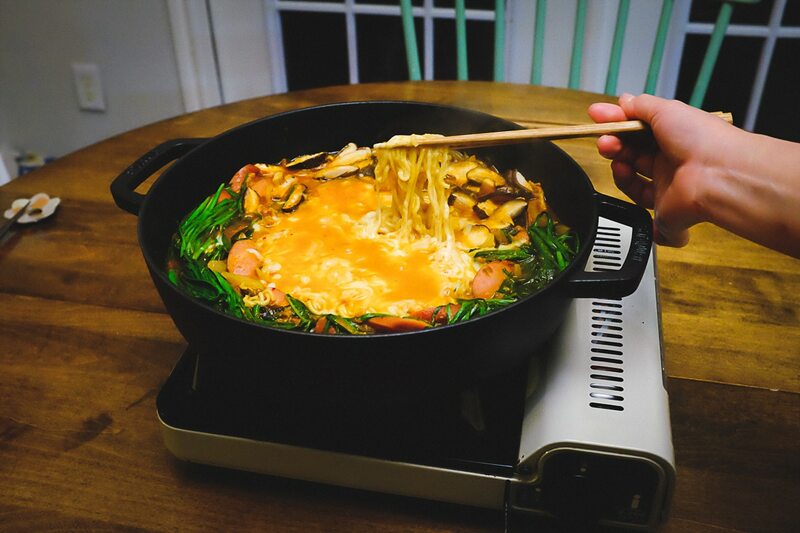 A really nice dish to eat when the weather turns cold, as it’s doing right now, is Nabé, or Japanese hotpot. Tonight’s nabé was Korean-style, with plenty of spicy kimchee and sliced pork. 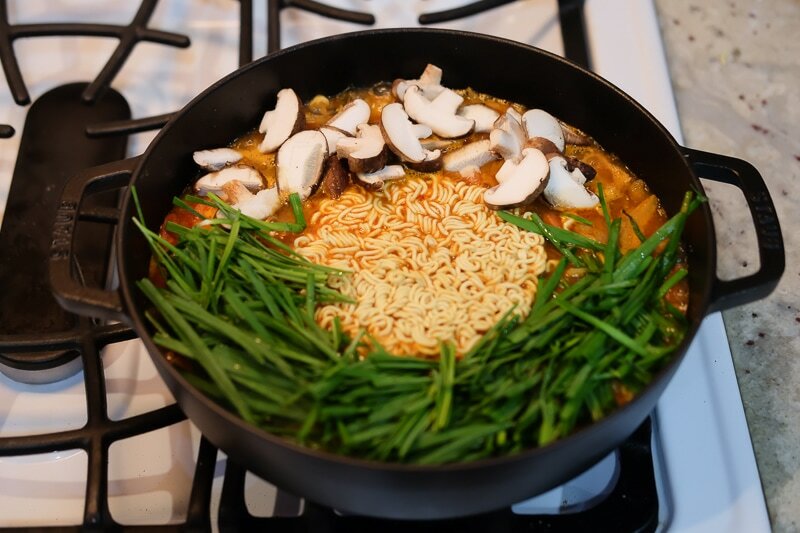 The greens were nira, and we also had mushrooms, sausage, onion, cheese, and instant ramen noodles.